When you have an idea that you think could change the world, getting from idea to implementation takes work. And perhaps one of the most difficult decisions to make in that process is what kind of model you want to use to achieve your goals. Do you want to set up as a non-profit? A social enterprise? As we’ve seen, there are pros and cons to both options. These days, a rising number of impact-driven ventures are opting to operate under a hybrid model. This can be as a non-profit social enterprise, or as a non-profit working in tandem with a for-profit social enterprise. This is the case for Chicago-based Yellow Tractor Project, a non-profit organization that empowers people to grow their own fresh, healthy, food in an easy and affordable manner, and its affiliated social enterprise, Yellow Tractor LLC. We had the chance to connect with the woman behind it all, Wendy Irwin, about the work they’re doing and how they operate. Let’s just talk a little about the non-profit aspect of your model, the Yellow Tractor Project. How did it come to be? So the Yellow Tractor Project came to be in 2009. I was actually the Grants Chair for an educational foundation in Wilmette, and this grant application came through that was so simple and I thought could have such a profound effect. So, I very unprofessionally picked up the phone and called the grant writer, and she thought I was calling to award her a grant. I felt terrible and tried to explain that we might be interested in piloting it. With her idea, I told her I thought we could change the way America thinks about food in ten years; and change the world in twenty. She was really taken aback – she wanted to do one garden in one building, not change the world. But we met, and the idea for the Yellow Tractor Project was born. We operated for years without a 501c3, and while we raised money and got all of the logistics in place for the application, I was in testing mode. I had the social enterprise hybrid piece in my head from day one, and I started off by pitching our programs as paid programs to see if they would work. I went into each meeting with potential partners prepared to ask them for funds from specific budget buckets. I knew they’d go for old school foundation money if I didn’t, which we couldn’t get because we didn’t have 501c3 status. Without it, we had to think creatively about which buckets to draw from – marketing, advertising, recruitment. Then I quickly realized: This is so much more than food access. This very simple, easy, turnkey thing is such a solution for job skills training, for employment, for rehab. We wanted to help those who don’t have access to nutrition, and started pilots that targeted senior citizens who live in subsidized housing. They’re the last generation who has knowledge of gardening in their bones, and yet they have no access to it and their nutrition bottoms out as a result. We now have two programs in Evanston, and they’re just knocking it out of the park. One thing we were somewhat surprised to find was that, for them, the gardening was almost as good for their mental wellness as it was for their nutrition, because it built a sense of community. That was really profound for us. We want to make it easy for people to improve their health, starting with the basics – and do it wherever they need to. And how does Yellow Tractor, the social enterprise aspect of your model, tie in? How did it develop? As I thought through how we should develop the social enterprise piece, I realized that rather than starting at schools, we should start with the parents. Teaching kids how to garden will only work in a sustainable way if the parents know how to do it too. We tried at the YMCA at first, but it just became really obvious that we should go for corporate wellness programs. That’s where adults spend the bulk of their lives – at work. We decided it made sense to reach them there. And it was sort of perfect convergence of things: a broken health care system and a loss of any innovation in corporate wellness programs. And then we just did experiments to see if this would ultimately reduce health care costs. We have a five year pilot here, and for the first time ever – at this global firm we were working with –its over 100 years old – their insurance premium didn’t go up. So we made sure at the beginning when we were developing the non-profit to build relationships with businesses that might eventually be interested in the social enterprise aspect, and it seems to be paying off so far. Now, we offer customizable corporate wellness programs that are centered around gardening. If a corporation wants to put in garden beds and have us come in and teach their employees about how to garden, we can do that. If they want us to bring in a chef and show them how to use that healthy food to cook meals, we can do that. But one of our key differentiators is the education that we provide. When you start one of our programs, we look at your climate and location, and put together a newsletter with all of the information that you need to sustain your garden. This would take a ton of research and knowledge on the part of the individual. Beyond the garden-based wellness programs, we also offer something called “Your Company in the Community,” and this is where CSR comes in. This is where the engagement dollars come in. 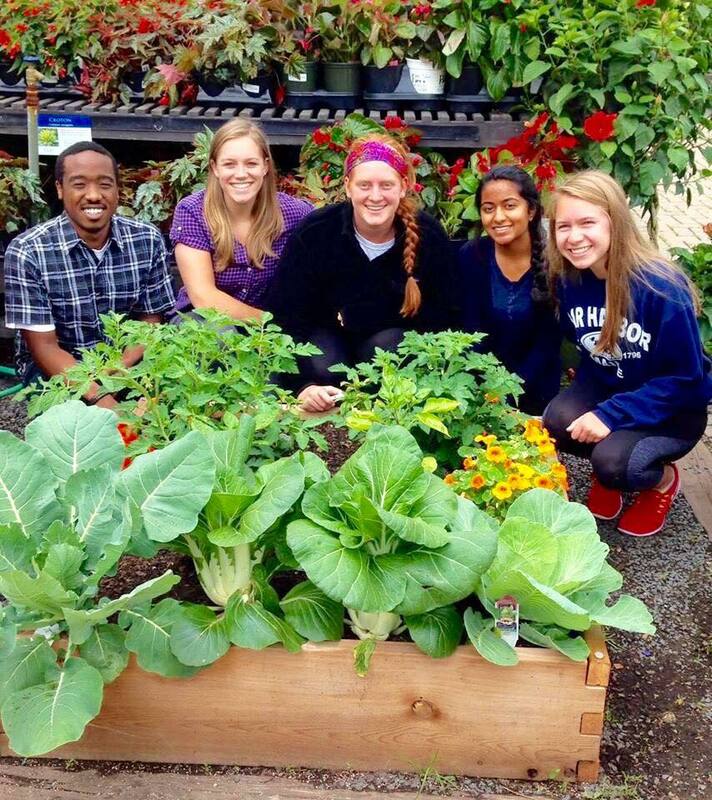 We’ll take anywhere from 5 employees in a department to the whole company, and we take them out to a local community non-profit – either one that they partner with or one that we know – and take them out to do gardening projects there. And how do they function relative to one another? It’s sort of a classic non-profit / social enterprise hybrid model. The non-profit preceded the social enterprise, and the whole thing kind of becomes a social enterprise. They function separately, which is hard for external parties to really understand. Yellow Tractor LLC is focused on corporate wellness programs and providing customizable paid solutions in that sector. The Yellow Tractor Project is focused on donating beds to underserved populations. Both are centered around nutrition and food access, and providing education around those things, but they function separately. Their connection is financial: Once sales from Yellow Tractor LLC reach a critical mass, a percentage of the revenue flows to the Yellow Tractor Project as one of its diverse revenue streams. On top of that, we still do our traditional fundraising, donor cultivation, all of the things that you do in a traditional non-profit. What is the key differentiating factor between what you offer and what people could do at home? When we were figuring it all out, we first decided to learn manufacturing and develop a garden bed that could stand on its own and was as high quality as possible, and we created a kit of sorts that included the soil, the bed, plant sourcing. Those are the main things that have to be right in order for it to work. The wood itself has to be quality, and without it, most gardens go bad. Without good wood, people use railroad ties or anything inexpensive. These are generally treated, which leeches into the soil, which leeches into the food…and we’re right back at square one with bad nutrition. Moreover, it disintegrates in a few years, and then no one wants to do a new one again. So we put the time into developing this product that is safe and we know will last about fifteen years. And we use these same high quality beds on the non-profit side. Even though many business advisors have told us it’s a bad model, because they’re too expensive, we refuse to budge on that. We’re not willing to compromise the integrity of the product. When you use lower quality widgets, not only does it have an effect on nutrition, but when they fail, it lowers morality, and detracts from the entire mission. What’s the biggest challenge that you’ve faced in getting your programming off the ground? We’ve faced the challenge of getting people to really adopt a new way of thinking, and understand the importance of nutrition. For Toms shoes…no one is going to turn down a free pair of shoes if they need them, or for Warby Parker…no one is going to say “Nah, I don’t need my grandfather to see.” But when it comes to nutrition, people often want to opt for the Cheetos because it’s what they know and can afford. They don’t feel like they need to make the change, and it takes work on their part. That’s why we’re trying our best to make it easy for them – to provide the beds and materials that they need and supplement that with education. What is your best advice for someone who wants to start a social impact project? Don’t look before you jump – everyone’s going to tell you that you need years of research, but that’s not always true. It’s an iterative process and you’ll never learn more than what you get from just trying things and listening to people. Sometimes it will take people awhile to understand what you’re doing, but that’s innovation. We write a lot about social entrepreneurs, people who change the world through revenue-generating business models. But as we well know, there are many who find the nonprofit model to be a better fit for their cause. Here are some of the factors to take into consideration when deciding which option is best for your organization or business. Non-profits are critical in the world of social impact, and their leaders, like social entrepreneurs, are often passionate, driven individuals who see problems and want to find sustainable ways to fix them. We recently had a chance to connect with Ben DuCharme, co-founder of Chicago-based non-profit pilotED that is working to provide critical support to at-risk middle school students who want to pursue higher education, but lack the necessary resources and guidance to do so. Tell us a little bit about your career path, and what led you to start pilotED. As a senior science major at University of Wisconsin-Madison I found myself disillusioned with the career paths that lay in front of me. Like many other students, I had partially planned on attending medical school, but fell out of love with the idea of working 24-hour shifts in a hospital. I turned instead toward my other potential career path: teaching. Along with other recent college graduates, I joined Teach For America-Chicago, which gave me the opportunity to dive into urban education. Although naive and consistently humbled by my lack of experience, I also quickly came to realize that many of my students, juniors and seniors at Eric Solorio Academy High School, had made their way through years of school with poor skills and worse academic habits. By the time they reached graduation, it was too late to undo years of inconsistent effort, apathy, and poor results. Their trajectory had been set a long time ago. The idea for pilotED sprung from this realization. Jacob Allen, Marie Dandie, and myself recognized the lack of concerted effort to get at-risk students on track for college graduation early in their educational careers. While there are many great organizations operating in the high school or after school space, there was nothing available to middle school students who hoped to do great things with their lives, but lacked the support to do so. pilotED fills that void by taking cohorts of twenty "C" average 6th graders, and leading them through a four-year curriculum focused on identity and academic growth. Our program culminates in the 9th grade year, once students have established themselves as successful high-schoolers on track for high school, and college, graduation. What is your role within the organization, and how did you determine your team structure? My official title is Executive Vice President; however, I focus my time and effort on pilotED's metrics and teacher training. As a young non-profit, the establishment of strong and consistent data is essential to our growth. At first, myself and the two other co-founders made most decisions together. However, that team structure was unwieldy at best, so early on the three of us sat down to map out responsibilities. Although that sounds quite simple, in reality, the release of responsibility can be a difficult step, especially when you are used to having some control over all aspects of the organization. Our team's strong relationship allowed us to see each other's strengths, weaknesses, and passions, which led to a well-reasoned division of roles. What would you say have been the most difficult aspects of developing and sustaining a non-profit? For a growing non-profit, momentum is key. In order to build momentum, you need to maximize potential opportunities. Whether it is an official pitch or an informal conversation with a key stakeholder, how you present yourself and your non-profit makes all the difference. Each of these opportunities might be the only chance you get to secure a donor or an advocate who wants to open their network to you. As an organization, we found that our passion for our mission and vision quickly developed momentum in the Chicago education community, but sustaining it now that we are a known commodity is our new challenge. What has been the most rewarding part of the experience so far? As an educational non-profit, I have seen two distinct areas of reward. The first, and the most rewarding, is seeing our young 6th graders excel. Watching young adults learn and grow together and support each other to become better students and people has been quite the experience. Seeing the pride on their faces when they strut around in their pilotED t-shirts is something else. The other area of reward has been the positive feedback we have received from the Chicago education community. When pilotED was just an idea, we believed that it was absolutely necessary and had the potential to revolutionize students’ lives. But we weren't sure that others would agree with the same level of excitement. Over the past two years we have been rewarded by receiving overwhelmingly positive feedback from other education professionals. Whether in the boardroom or the classroom, people actively reach out to support us, which proves both how generous the Chicago community can be and that our work is valuable. How do you envision pilotED growing over the next few years? During our first few years, pilotED will double in size each academic year. In five years we will be in three cities with similar populations of urban students where the need for pilotED is high. We have already been approached by individuals in other cities about expanding; however, our priority is establishing consistent success before we scale at a rapid pace. What advice would you give to someone who is thinking about starting their own non-profit? When you build a non-profit from scratch, the founders have to believe wholeheartedly in their mission and vision. Everything that happens to that organization over the first few months and years is tied to your belief in and passion for your work. We started pilotED while the three co-founders were full-time teachers. It would have been easy to want to forgo more meetings after a long day of work. But it didn't feel like work. What we were doing each night was so important that we walked away from our meetings refreshed and reenergized. I could not imagine getting an organization off of the ground without a similar level of passion. So if you are starting a non-profit, I urge you to ask yourself how strongly you believe in the idea and the pragmatic reality of what it will be. If both excite you, then go for it. We need more leaders like you. We’re inspired by the pilotED team’s drive to make a difference in a way that is impactful and sustainable, and look forward to seeing it grow. Check out the impact that they’re already making here, and then get updates by following them on Twitter and Facebook. And if you’re interested in supporting their mission, you can make a donation here, or even sponsor a student. The end of the year is a big time for giving. In fact, the average person makes 24 percent of his or her donations for the year between Thanksgiving and the New Year. There are many reasons why this is the case: the holidays are a time for gratitude and giving back, holiday bonuses put people in a position to be philanthropic, and people look to find tax-deductible donations before the year concludes. With so many amazing organizations out there – about 1 million charities in the U.S. alone! – just knowing where to start can be a daunting task. Don’t let it hold you back. Start with yourself. Think about what causes are important to you. Is it education, food security, homelessness, cancer treatment, human rights advocacy? Which causes tug at your heart strings, and make you want to contribute to change? If you choose to go with what you care about, you can (almost) never go wrong. Accountable & Transparent: Accountability ensures that organizations and businesses are following good governance practices, meaning that they are less likely to be doing anything unethical. The more transparent an organization’s practices, the more likely it is that they are using donations in the ways they’ve stipulated. This is not to say that these organizations won’t have overhead (salaries, admin costs, operational expenses) – they will and they should. You can learn more about why it’s important that people who are working to address social problems get paid fairly by checking out this amazing TED Talk by Dan Pallotta. As he says, overhead is not an enemy of the cause – it’s part of it, and is actually a huge contributor to organizational growth and impact. Results: Of course, you’ll want to know how successful the organization has been in accomplishing their mission, and the impact they’ve actually had. Luckily, sites like Charity Navigator exist to help you determine which organizations meet those criteria, so you can make smart choices about where you’re giving. We suggest that you start there, and then do your own research too. Monetary gifts made to non-profits, mileage used to drive to volunteer at non-profits, and partial-value deductions for in-kind donations (contributions of goods that you’ve donated rather than money) are all deductible expenses. Before you donate, be sure that you’ve chosen qualified charitable organizations, as only those will be deductible. Contributions are deductible in the year they are made, so donations made before the end of 2014 count for 2014 (regardless of whether or not you pay your credit card bill this year). Same goes for checks – they just need to be mailed by December 31, 2014, not necessarily cashed. Any cash deductions, regardless of the amount, must be substantiated by a bank record. These are the most important rules, but we recommend that you take a moment to familiarize yourself with these year-end giving tips from the IRS so that you can make the most of your final contributions of 2014. After you’ve made your donation, we highly encourage you to follow up with their progress afterward. Not only will this be rewarding for you as a contributor, but by sharing their work with your network, you can also help your organizations gain new visibility. It’s people like you that are keeping many of these organizations afloat, and your contributions and support make a huge difference on the level of impact they are able to make. Charity Navigator recommends that you conduct an annual review of your giving portfolio, looking at the progress reports of each organization you’ve supported, and continue to support those who are using your donations properly and taking concrete steps to contribute to meaningful change. Giving to organizations and businesses that are creating change in the world is SO important, and we hope that you take some time to think about how you can contribute as 2014 comes to a close. Which organizations will you be contributing to as the year ends? Let us know on Facebook, Twitter, or Instagram, or in the comments below. We’ll help give them additional visibility! The concept of freelance is a beautiful thing. It allows consultants to be selective about the clients with whom they work, choosing organizations they respect and projects they know they can contribute to effectively. At the same time, it allows clients to access talented individuals’ expertise for projects that will benefit from their skillsets. WhyWhisper is based on this concept. We are all freelancers, each possessing a unique set of skills, interests, and experiences – and we come together in a team structure to best support the companies and causes we care about. For clients and freelancers to work together effectively, both parties need to be on the same page. Things change, and roadblocks will almost certainly pop up. When a client and freelancer can clearly and effectively communicate their way through these changes, they will be able to overcome obstacles, and develop strategies that lead to the most successful outcomes. Honesty and straightforwardness go hand-in-hand with good communication. To develop a strong and effective client-freelancer relationship, both parties need to be as honest as possible with one another, in terms of expectations and abilities. If a client isn’t straightforward about their needs, the freelancer is bound to fall short, and if a freelancer overpromises and under delivers, the client is sure to end up frustrated, and could also be thrown off track. Clients and freelancers must have a mutual respect for one another in order for the partnership to be successful. This respect manifests itself in many ways – in how each values the other’s opinions, abilities, and time, to name a few. When client-freelancer teams respect each other, it is much easier for both to communicate effectively and be honest with one another. Sometimes, a project’s timeline can change pretty drastically as it develops. As these changes unfold, two elements are imperative to the client-freelancer relationship: flexibility and consistency. When both parties are able maintain a level of consistency throughout the project, while simultaneously accommodating changes as they arise, the team can develop a smooth and efficient workflow. A positive relationship between a client and freelancer can make all the difference in the level of energy and ultimate success of a project. Client-freelancer teams that communicate effectively, respect each other, and are straightforward, flexible, and consistent will be able to make the most of their time working together, and will even have fun doing it! What do you think is the most important aspect of a client-freelancer relationship? Tell us your thoughts in the comments below, or message us on Facebook or Twitter. And don’t forget to connect with us on Instagram too! Have you ever seen those beautiful photos of volunteers with small, African children wrapped in their arms? At first glance, these photos represent selfless individuals making a difference. But, could there be a deeper issue at stake? Hashtags like #InstagrammingAfrica #MedicalBrigades, #GlobalHealth, and the nostalgic #TakeMeBack are growing in popularity as students and young professionals experience life changing trips to Africa and beyond. But, research is showing that these trips are not always beneficial to local populations. As organizations work to improve the impact of “Voluntourism,” we, at WhyWhisper, took a look into the digital side of sharing these experiences. We asked Kate Otto, a World Bank consultant and the founder of Everyday Ambassador, to weigh in with her tips on impactful digital documentation surrounding your volunteer experience. WWCo: How can we do better in digitally sharing our overseas experience? Kate: The golden rule of sharing your experience overseas on public, digital media: imagine that everything you're posting to your Facebook, Twitter, and blog will be read and observed by everyone who you talk about in those posts (even if you know they don't have accounts on these platforms, or access to Internet). Would they be hurt, insulted, belittled, or disempowered by your comments or photographs? Would they probably think you're misunderstanding them? Then don't post it. Have the consent of anyone who you're posting a picture of to post it to the world. Basically, even though the people you're working with are different from you on many levels, treat them the way you would like to be treated. WWCo: Can posting a certain projection of Africa and other destinations in the Global South be harmful? 1. There’s nothing wrong with taking and posting photos of yourself and the people who you're working and living with abroad; this can be an act that solidifies friendships and documents moments of joy and gratitude in the same way we would do in our 'home' environments. The problem isn't with your action, it's with your approach. There's everything wrong with taking and posting photos of yourself and the people who you're living and working with abroad, if in doing so you present yourself as "saving" or "helping" others, or in any way being "above", "smarter than", "more advanced' than "them". 2. Avoid us/them narratives at all costs. We are we. We are all people. We give and take in our relationships (and if you think you're the only one giving, you're probably not in a relationship), and we are gracious and kind and respectful in our relationships. By doing anything other than treating each other as equals, we are perpetuating systems of oppression. So be cool. WWCo: What is the way forward toward documenting and sharing our experiences in a more positive way? 1. Honestly, document less and live more. Enjoy your experience without having to document every moment of it. 2. Question yourself always: are you documenting for yourself, or for others? If it's for others, why? Be honest with yourself about whether you're taking and posting that photo to craft your "image" for others, or because you genuinely want to share a specific, meaningful moment with friends/family who are happy to share in your joys, whether they're your new friends abroad or your 'home' friends. 3. The absolute key part of travel and volunteering/voluntourism is about building meaningful relationships, and it's your responsibility to decide how (over)documenting your experiences will diminish or enhance your capacity for deep, lasting human connection. Looking for concrete tips about managing your voluntourism experience? Check out EA's recent webinar "No Selfies w/ Cute Babies! And Other Tips for Your Summer Abroad"
Time and time again, it's been said that individual stories are the single most powerful tool for increasing nonprofit donations. These stories, when coupled with key facts and statistics, make for a very powerful case study. It is therefore important to take note of one of the key difficulties encountered when including an individual's life in a case study: publishing personal stories can have ramifications on safety, reputation, confidence levels, and so much more. While you want to demonstrate your impact, you also want to handle a life with the utmost caution and respect. It might sound counter-intuitive, but you need to begin at the end. What does “success” look like for your organization? What are you able to prove? What are donors looking for? Make sure you're being specific about what you’re measuring. Based on the impact you plan to illustrate, identify the person or people whose story would be best to tell. Make sure to think through the personal elements that donors will relate to most, as these will need to be incorporated. Create a list of questions you would like this person to answer that will help illustrate "The Before", as well as "The After." Where were funds spent? Who was brought in to help? Why were these specific measures taken? Provide clear, concise descriptions of the factors that led to success. Think through what assets will best illustrate the story. Get creative... Photos? A video interview? An infographic? You should be prepared to illustrate "The Before", "The Process", and "The After". Create a signed release/express permission form that explains exactly what information and assets will be shared. Find creative ways to shield personal details and/or identities for those who could be hurt or embarrassed were their identities or personal details to be revealed. If it's necessary, change their name, and use a small disclaimer such as, “I'll call her Joanne…,” or “John, a pseudonym...” Make sure you've secured explicit written permission before publishing stories or photographs, and when in doubt, don't hesitate to consult a lawyer. Because your case study involves a personal story, it can be difficult to isolate the most important information to include. If you’re not careful, you might find yourself incorporating emotional, yet irrelevant, information, which subsequently detracts from key points. When pulling together your case study, make sure that you're still focusing on a single area, for which you're able to measure the results. Don't forget to integrate Calls-to-Action. Readers/viewers have many pieces of content competing for their attention. If they've taken an interest in your case study, you want to convert their interest by telling them what to do next... Donate? Sign up? Contact us? Don't miss your opportunity. Is there something we missed? Or, do you have a particularly compelling case study to share? As always, our team would love to hear from you! Post in the comments below, or contact us via Facebook, Twitter or Email. At WhyWhisper, we see a common thread among the nonprofit organizations we work with. While driving awareness and consideration is a critical need for nonprofits, the main concern is whether this awareness will drive back to donations. That’s always the crux of the social media issue, isn’t it? Organizations want to see direct return on investment in order to feel that their time, energy, and budget is directly growing their capacity for positive impact. It’s been said that your best customer is the customer you already have. The same is true for donors. Every time a donor contributes, you have a direct opportunity to convince them to do it again — not to mention convincing their social followers to do the same. One powerful way to amplify this opportunity is by tweeting links to your donation landing page and letting individual donors know how their contribution has made a difference. charity:water, a New York-based nonprofit committed to providing clean drinking water across the globe, takes this strategy to the next level by sending donors letters about how their donations have been used, with a link to encourage them to share the difference they’ve made via social media. While Twitter is a powerful platform for sending short bits of information to donors, Facebook is the most effective way to tell a social story. The more specific a story can be, the more emotionally moving it is for donors to see and relate to. 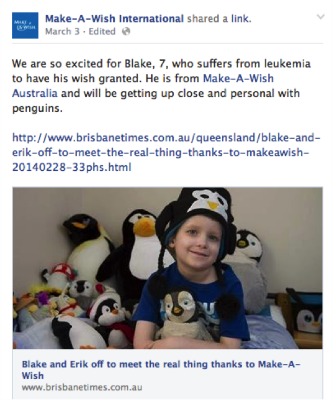 This is evidenced by the success of Make A Wish Foundation's Facebook page , which features pictures, names, ages, and stories of the children whose wishes have been granted through donors' contributions. On these posts, fans regularly share their own stories, illustrating the lasting bond built by the organization. Blood donation shortages have been an issue for years. Red Cross Singapore’s response? Make a game out of it. In a recent effort to encourage blood donation, the organization created an iOS and Android application that uses social recognition, sharing, and donation push alerts to encourage donors to be actively involved in solving the organization’s long-term donation shortage. Still not sure you want to get in on the fun? Here are 10 more examples of gamification playing a critical role in generating engagement and donations for social causes around the world. Digital advertising - and video advertisement in particular - is extremely successful when it comes to driving donations. According to a July 2013 Google study, 76% of donors research online less than one week after viewing an ad. Additionally, 57% of people make a donation after viewing a video online. Last, but certainly not least, it’s vital for nonprofits to include mobile optimization in their social strategy, as over 1/3 of people contact nonprofits via mobile devices and 25% complete their donations via their phones. Additionally, 1 in 4 people find nonprofits of which they were not previously aware, via mobile searches and 40% compare reviews of causes they are interested in on their mobile devices. Thinking of taking it a step further, and launching a mobile campaign? Here’s a great how-to guide to get you started. Do you have a favorite social strategy element that you use to increase donations? Be sure to share with us below, or via Facebook and Twitter. 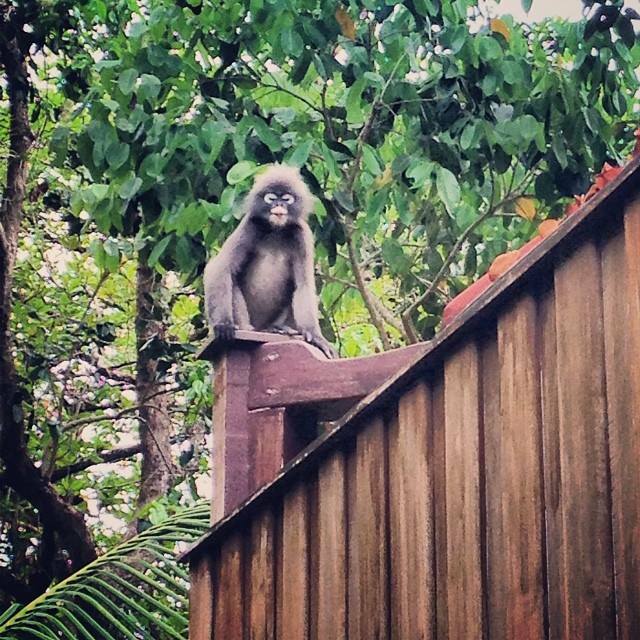 Last month, my newlywed husband, Ron, and I set off on a three-week adventure to Thailand. With three days in Bangkok, five days by the Ping River in Chiang Mai, and close to two weeks on the beaches of Khao Lak, Koh Lanta, and Railay, we had a chance to experience different climates, ecosystems, accommodations, food, and nightlife. We visited historical temples, bathed elephants, swam in crystal clear blue seas, and walked the colorful streets of crowded night bazaars. And all the while, I couldn't help but take note of the numerous models for impact. Now that we're back in New York, I routinely find myself thinking about the organizations that we encountered, and the many ways that their marketing, operations, and infrastructure applies to my client work. During our first two nights in Thailand, we stayed at The Metropolitan by Como, a luxury boutique hotel with sleek, contemporary designs, an in-house Michelin-starred restaurant, and a beautiful and serene spa. At first glance, there were no readily apparent ties to any philanthropic initiatives. Later in the trip, I took a better look at the welcome card that they had left for us. On the back, there was a small, but distinct message about their foundation's work in Peru. It struck me as odd that a Thai hotel - even one that's a member of a global boutique operation - would be messaging their work in Peru. Upon further research, I learned that The Como Foundation supports nonprofit organizations working to improve the lives of women and girls in 19 countries worldwide through education, skill development, and income generation. Now, this made a bit more sense. When running a philanthropic arm of a larger corporate entity, it's critical to craft messaging that resonates with the customer. If someone is traveling to Thailand, odds are they will be more interested in what's going on in Thailand than what's going on in Peru. If unable to resonate on a geographical level, approach it from a different angle. Approximately 51% of the world's population is female. Since their mission is directly tied to empowering girls, why not make this the focus of their materials? To ensure the ongoing success of any nonprofit initiative, one must ensure continued visibility and interest. The Metropolitan has numerous opportunities to make customers aware of their philanthropic activities. For example, when someone makes a reservation, they could alert them that a portion of the fees are donated to their foundation. When they check in at the front desk, they could provide a card or brochure with instructions on learning more. When they visit their spa, they could feature items produced by the girls the foundation supports, and information on the training they had received. On-site art auctions, Twitter responses to Foursquare check-ins, even including a direct call-to-action on the welcome card -- any of this would have greatly helped to increase the odds that their customers would support their efforts. The lesson? Look for every point of contact with a prospect, and include relevant stories and information. Did I mention that this benefits the corporation as well? In a recent study, 60% of American consumers said that buying goods from socially responsible companies is important to them. In traveling to the northern Province of Chiang Mai, both Ron and I were beyond excited to feed and bathe the elephants. We had extensively researched our options, as we knew from others that there were numerous companies exploiting animals for purposes of tourism. That being said, we never could have imagined the incredible sanctuary we would step into upon visiting The Elephant Nature Park. Throughout the day, we received quite an education . 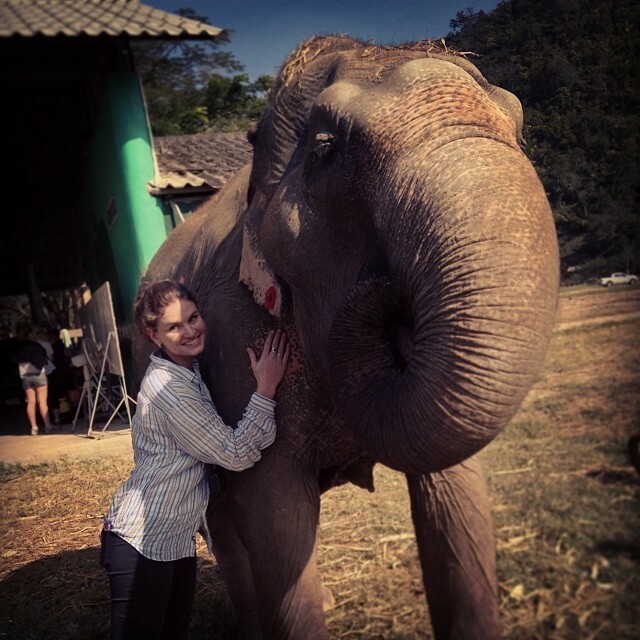 We learned of the abuse and traumas faced by the elephants of Thailand, and the ways in which we could affect change. We saw a baby elephant mischievously trying to allude his mom so as to play with the children in our group. We came to understand the importance of adhering to a strict snacking schedule, so as to ensure the elephants still knew to seek their own food sources throughout the day. The elephants roamed freely amidst dogs, cats, and visitors (note that safety measures were in place), and volunteers ranged from their late teens to their early eighties. Some were clearing elephant dung. Others were carrying countless baskets of bananas, watermelons, and pumpkins. All had paid a fee to take part in these activities. To date, the organization has rescued over 35 elephants from the trekking, logging, and tourism industries, as well as over 400 dogs and cats, and their success is in large part due to their volunteer populations. By offering an experiential volunteer program where people pay for accommodations and hands-on interaction, organizations can build a sustainable financial model that perpetuates change for their communities, while simultaneously minimizing costs around full-time labor. While facts and figures are undeniably important, people are much more likely to buy into the mission of an organization when they have an opportunity to see the impact of its work. A great way for an organization to bring its mission to life is through storytelling. Why did the founder first get involved? What is a typical day-in-the-life of a volunteer? How did one elephant's life change after being placed at the Elephant Nature Park? Just after arriving in Koh Lanta, a district in Krabi Province, Thailand, Ron and I were looking for a beachside cocktail when we stumbled across Time for Lime, a cooking school, restaurant, and bar, that also offers bungalow accommodations. As I read through their cocktail list and innovative tasting menu, something else caught my eye… all profits from Time for Lime go to Lanta Animal Welfare, a rescue committed to the sterilization and care of the island’s neglected animals. If you know me (or follow me on Twitter and/or Instagram), you are likely aware of my love of animals. For years, I worked at a local NYC animal rescue, not to mention the Rottweiler, Shepherd-Lab mix, and 2 spunky cats living alongside my husband and me in our little East Village apartment. Needless to say, we spent many nights supporting their business and talking to their founder; and we also arranged a daytime motorcycle ride to visit the animal rescue in person. There are many ways to affect change in a community. By using a beachside business model that easily attracts tourists, Time for Lime was financially able to start and sustain a nonprofit animal rescue. They also increased the visibility of the animals who were up for adoption, and provided employment to locals from the area. Were this to be located in New York, they would likely be certified as a Benefit Corporation (or BCorp). Time for Lime is able to attract a more steady stream of business through partnerships with larger hotels who want to offer their patrons a unique cooking school experience. When running any social change initiative, it's important to build mutually beneficial relationships that ensure support from the larger community. The organizations I encountered in my recent travels to Thailand helped to remind me of the endless models and opportunities for creating social change in a community. Are there other impactful initiatives you encountered in your travels? I would love to learn about them! In 2012, the nonprofit charity: water raised $8 million through their online fundraising platform. They are, perhaps, one of the more telling examples of the power of digital platforms to grow nonprofit fundraising and engagement. By creating a strong digital story, targeted social content, and participating in regular engagement with fans and potential funders, nonprofit teams have more opportunity than ever before to promote their cause online. Platforms such as Help Scout provide access to multiple team members, thereby allowing for prompt responses to donor emails. Features include: email integration that allows you to respond from your own inbox; the ability to leave private notes for your team; actionable reporting providing insight on response times and team performance; and real time monitoring that lets you know when someone has accessed or already responded to an email. Your online platform should give members of your network the ability to engage with your cause and share it with their friends, family and networks. This type of relationship creates efficient opportunities for fan advocacy, and often occurs by giving fans the ability to create their own visual and written content to share with their networks. Here’s a helpful blog explaining several specific ways to encourage brand advocacy. Many donors express that their chief concern is that their money is going to nonprofit overhead, rather than projects and individuals being served. One way to increase trust and comfortability is to leverage social proof. Social proof can be described as “informational social influence,” or the positive influence created when one person finds out that someone else they know or relate to is taking part in a campaign. As you provide ways for your donors to publicly share that they have donated to your cause, you will subsequently gain the trust of your donors networks. Is there a leader within your company that has a strong presence on social networks? Their wide reach can be used to elevate and tell the story of your cause. By posting their own unique story of passion for your nonprofit’s mission, perhaps with the history of how they arrived at their commitment, this individual (or several individuals!) can create a corresponding story that communicates the power of your mission and vision, while expanding your reach amongst their networks. Storytelling is perhaps the most effective way to utilize social media. Your organization should seek to tell one overarching story of your mission and cause. Within it, you can present the facets of several different ongoing stories, such as the individual success stories, the fans who donate and volunteer, and the connection between the two. The more personal you can make the story, the more powerful it will become. 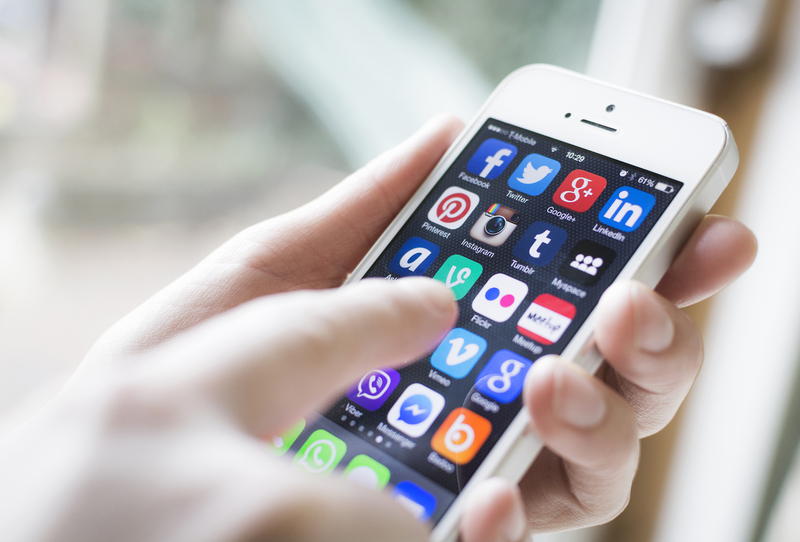 Are there other ways you have used digital media to grow your nonprofit reach? We’d love to hear your feedback in the comments below! It would be impossible to count the number of articles and blog posts I've written throughout my career — and even so, I'm having a hard time writing this one. WhyWhisper is an incredibly personal venture for me, and for everyone working alongside me. It combines our professional skills and experience with our personal passions. It provides a source of income to freelancers — while also helping to increase the impact of nonprofit organizations and companies for social change. I have so much pride in what we've built, and excitement for the future, that it's difficult to slow down and draft the proper introduction. Let's give it a try. WhyWhisper Collective is a network of freelance professionals who have come together to provide digital and social media marketing services to nonprofit organizations and impact-focused brands. According to comScore, social media accounts for 1 of every 5 minutes spent online. This makes it the number one activity on the internet. Additionally 75% of people use social media to find or share information about brands (Mass Relevance). With social media, companies and organizations are presented with an enormous opportunity to drive awareness and convert leads across social platforms. It's no longer optional to build compelling brand stories, and that's where we come in. Our team members have backgrounds in strategy, design, content marketing, and analytics. We've worked domestically and abroad — for large corporations and advertising agencies, as well as startups, educational institutions, and nonprofit organizations. In leaving the corporate world and venturing out on our own, we've found we are able to work better, more passionately, and to focus in on the clients with whom we would most like to work. These clients need access to many skills and services, but not necessarily all at the same time. Our model provides them with flexibility, while never compromising on talent or passion. Stories of progress, community, impact... they motivate us. In fact, our name, WhyWhisper, serves as a reminder to speak up for what we believe in, and we believe in our clients' work. Whether you're interested in our services, would like to join the collective, or just want to chat, we love meeting new people and very much look forward to hearing from you.